If there's one person in the world whose average day is a mystery to us, it's Kim Kardashian. We see how she dresses, we see her on social media and her TV show, and at any other public appearances she might make, but when it comes to her everyday life truly ouside spotlight, we can only wonder... until now. Kardashian recently opened up to Harper's Bazaar about what a typical day is like for her, and we must confess—it's fascinating. Keep scrolling to read our favourite highlights from a day in the life of Kim Kardashian! "I usually wake up really early, around six o' clock. I sleep with my Blackberry, my iPhone, and the baby monitor next to my bed, and at first I can hardly see the screens because they're so bright and my room is so dark. I check the monitor, and then I kind of squint on eye and look at emails. I don't respond to them right away; I scroll through. The first person I talk to is Kanye because he's right there next to me in bed. I'll say, "Do you want to go for a run?" And he usually does. Or he won't because he has a workout, so we'll just talk about that, then kisses." 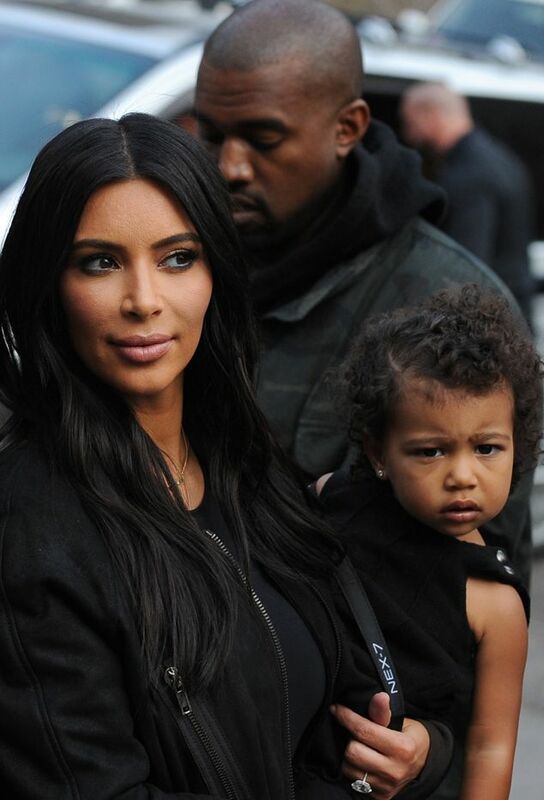 "My first real conversation of the day is with North, although I'm not getting a whole lot back from her yet. I like to check her room as soon as I wake up. Then I go for my run. I live in a gated community with lots of horse trails, so I run on those, or on the treadmill in our home gym on the other side of the house. My workouts are usually about an hour, maybe an hour and 15 minutes total, but I like to mix them up. Running takes me about 35 minutes on the trails, and then I'll come back and work my abs or legs. I like to listen to music while I work out, but I don't need it to pump me up or get energised. It's weird—I'll put my iPod on shuffle and listen to slow R&B songs or even classical music, which most people think is so bizarre. I don't need anything fast. When I go to Barry's Bootcamp, they put on dance music or house music sometimes, and that slows me down." "I used to work out at a gym more often, but now I stay at home because I want to be there when my daughter wakes up, which is around eight. It's my favourite time of the day with her, so I don't want to miss it. I try to have breakfast really quick, before she's up, but I'm rushing and always checking the monitor. I'll usually have scrambled eggs or oatmeal, or a protein shake with fruit. Kanye loves to eat really healthy and is always on different diets. He has a chef who comes in the morning and cooks breakfast for both of us and gets our meal plans together for the day. We just started seeing a nutritionist who changes our diet every 10 days." "I love baths. I usually take them pretty regularly, but we just moved into our house and are replacing the old bathtub, and the new one hasn't been installed yet, so we haven't had a bath for a month. I can't complain, though—I like my shower. Dr. Lancer makes a good hard body scrub I use. And I just started using this black bar of face soap by Erno Laszlo. I don't stick to a specific routine with products. There are so many different shampoos and conditioners in my shower; I like to switch them up." "For dinner, I have vegetables and fish or chicken, just like lunch. I don't really have cocktails or desserts—I mean, I wish! Haagen-Dazs is my biggest indulgence—their Dulce de Leche flavour is my favourite thing in life. I'm kind of a homebody, so I've been staying in a lot lately. There's nothing I love more than getting to stay home all day and not get ready for anything, which is about half the week. And then we have Sundays off. I usually spend that day with my daughter, and we'll go somewhere. I love driving, being in my car and listening to my music. I listen to satellite radio; I like this new station called Venus and another called Heat." Head to Harper's Bazaar to read the rest of Kim Kardashian's daily life! What do you think? Tell us in the comments below!